Let us assume that you are a federal government employee who is about to miss his second paycheck because of the government shutdown. That’s one month without pay. Also, let’s say that you are a Democrat and a staunch anti-Trump individual. You should be asking the Democrats on Capitol Hill to give Trump the money for his wall and open the government back up. Someone has to be the adult here and it clearly will never be Trump. The Democrats are very concerned— and rightly so— that if they yield on this one and let him win on the wall, he will shut down the government every time he doesn’t get what he wants. This may be true but ask the other 800,000 unpaid federal employees if they care who wins, whether they are Democrats, Republicans or independent. The vast majority of them don’t really care. They want to get paid on time for their services so they can pay their bills on time and feed their families while keeping their dignity. Trump has proven over and over that he does not care about anyone but himself. His top level appointees have also shown that they can’t really understand the federal employees’ plight. Ask his commerce secretary, for one. The Republican Senate “leaders” are hiding behind Trump and are scared of him and his loyal base. If the Democrats declare that they gave up because they care and if they give him his wall money with some strings attached (like asking for progress reports on how the money was used and the wall’s impact on crime rates) who can blame them? Give him the money to build that wall and let’s see if he will even build it. And if he does, let’s see how it will cut the national crime rate in half, as he claims. Wouldn’t you like to see the Republicans, who did not vote for a wall when they had total control of both houses of Congress for the last two years, vote for Trump’s “great” wall? By the way, You shouldn’t mind if they place the word “Trump” in gold on the wall and name it after him. It will go down in history as a monument to all the bad things he stands for and all the failures of Trump policies. 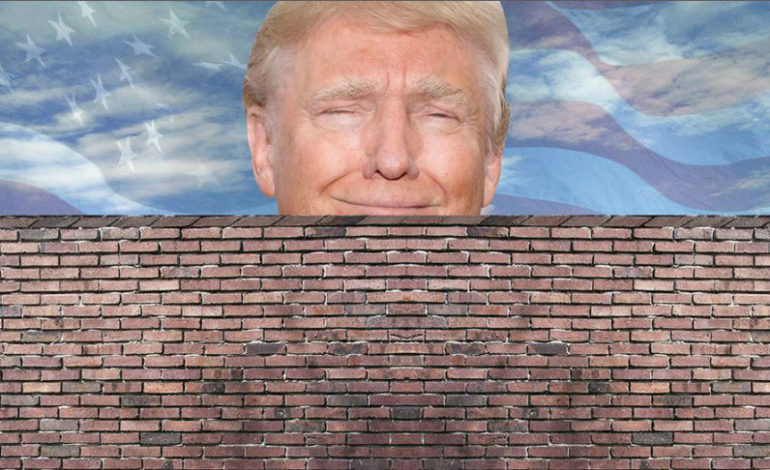 Give the brat his wall and give us back our government.